What do you think of when you’re getting ready to head to the lake? I think of boats, swimming, fishing and floating! When I was gearing up for my day trip to Lake Como, Italy, all I could think about what how nice it was going to be to get some sun and enjoy the water. Lake Como is a different kind of lake, however. The residents and visitors do not even think of swimming! We even got funny looks for sticking our feet in the water. 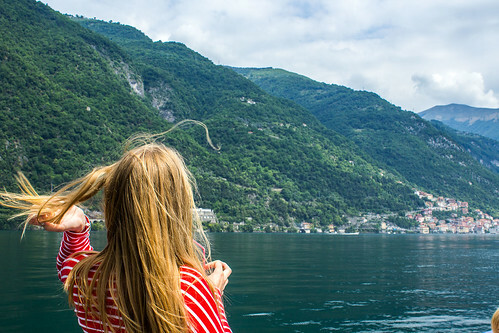 At Lake Como, being on “lake time” means taking a ferry ride across the lake, checking out all the little ships in Bellagio and eating a nice meal at one of the cute restaurants on the lakefront. 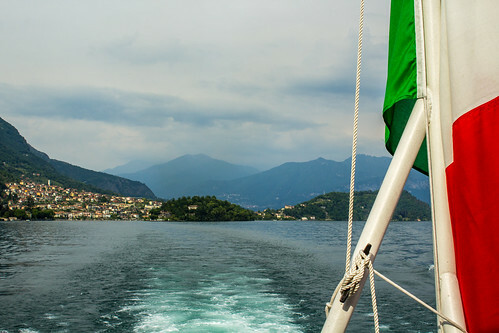 Enjoying the view from the back of the ferry at Lake Como, Italy. Victoria R. is studying abroad on the Business: Italy program in Bergamo, Italy.